Matrix Biolage Scalptherapie Anti-Dandruff Purifying Gel is a special anti dandruff treatment gel from the brand Matrix. I always have to fight with dandruff with seasonal changes and keep trying different shampoos, lotions, gels and home remedies for getting rid of dandruff. I suffer with slight dandruff in summers, which gets increase in monsoons, but becomes extreme in winters for which I have to use strong medicated Anti Dandruff Shampoo like NIZORAL. This time again I am suffering from dandruff, because of the dry hair and scalp which is the most prominent cause of dandruff. I didn't know anything about this Matrix Anti Dandruff Gel. It was my brother who was suffering from extreme severe dandruff, extreme severe and stubborn are the words to be noted here. He got benefited by just single application of this Matrix purifying gel and this was when I decided to give this a try. Check out the review below of this Biolage Anti Dandruff Purifying Gel. What this Matix Biolage Scalptherapie Anti-Dandruff Purifying Gel Claims? Cleanses and purifies the scalp and hair.A technologically advanced combination of piroctone olamine, citric acid and exfoliating agent, gently removes visible dandruff flakes and helps prevent its reappearance. Leaves hair shiny, soft and refreshed. Eliminates dandruff flakes and helps prevent its reappearance visible flakes only, with regular use. Usage - Apply section by section to dry scalp. Massage for 5 minutes. Next add water and work into a lather. Rinse thoroughly. Price - Rs 190/- for 200 ml. This ANTI DANDRUFF GEL comes in a very different tube packaging which is very convenient to use because of the tube form along with being travel friendly. The tube is really small and very light weight and can fit into your purse very easily. This is what I liked the most about this gel since it can be easily carried without the fear of leakage or heavy bottle. The gel is green in color and has a very typical shampoo smell but the fragrance is really strong. I don't have any issues with its strong smell, because its not bad at all and easily bearable. I have felt the similar fragrance lot many times before but just could not make out exactly which it it. Read : Head & Shoulders Anti Dandruff Shampoo for Dry Scalp. Matrix Opti Care Split End Serum Review. The gel required for the single application is very less. Its not required equal to shampoo but just little and cover all over the hair section by section focusing on problematic areas. Massage with water for 5 minutes all over and add little water. When mixed with water and rubbed all over it lathers well. I just took little gel along with water and rubbed it all over resulting into a nice lather. Finally I rinsed it with lukewarm water, since I just cant splash cold water in winter. 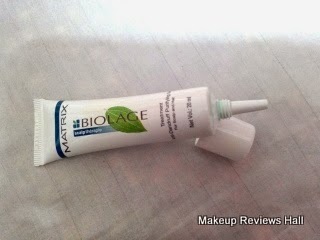 The result of this Matrix Biolage Scalptherapie Anti-Dandruff Purifying Gel was too good. Almost all of my dandruff has reduced to zero. I did not really have extreme stubborn dandruff but there was zits of it all over which finally disappeared on using this Biolage Anti Dandruff Gel. I saw my brother with severe stubborn dandruff benefited by this gel just with single use, so it won't be wrong if I say this gel works on stubborn dandruff too.It was like the Best Anti Dandruff Gel for him. The only strange thing my brother told me was that he felt little pain while massaging hair. I don't understand how can hair be painful. But he justified saying there was so much stubborn dandruff, which was being released so it pained. Overall I would recommend this Matrix Biolage Ant Dandruff Gel to almost everyone suffering with this problem, whether its light or severe, but specially to those suffering with severe stubborn flakes since this gel really starts working with first application. Also it did not dry hair like other strong anti dandruff shampoos. Very effective gel in clearing even the stubborn dandruff. Reduces lot in just single use. Best anti dandruff gel for stubborn severe dandruff. Does not make scalp dry like other chemical anti dandruff shampoos. Strong gel full of chemicals.